Scotland is an amazing destination renowned for many things: castles, golf, kilts, haggis and it’s amazing scenery. Scotland is also promoted as an adventure destination. However, there are thousands of people who visit Scotland every year but have no idea of the opportunities they can experience. Your experience is greatly enhanced if you invest a wee bit in expert guidance. Many people list our scenery as one of the motivating factors for a visit to Scotland. 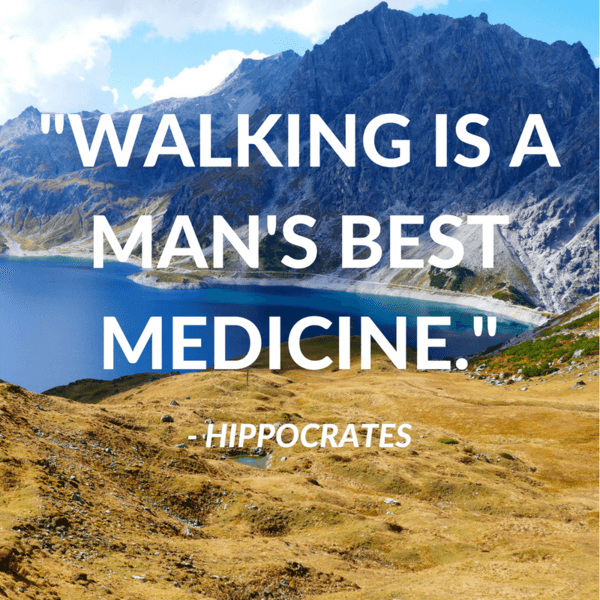 It also ranks highly as one of the reasons to go hiking. Choosing a holiday destination is not always easy. There are a lot of considerations which come in to play. How much time do you have available? How much money do you have available? Do you have a short list to choose from? 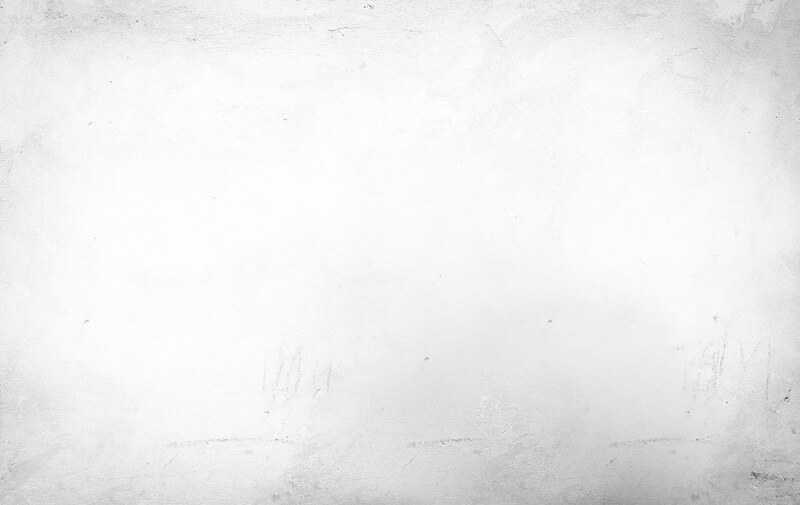 What images are influencing you? And these days, of course, you have your friends images and reviews to peruse via social media. 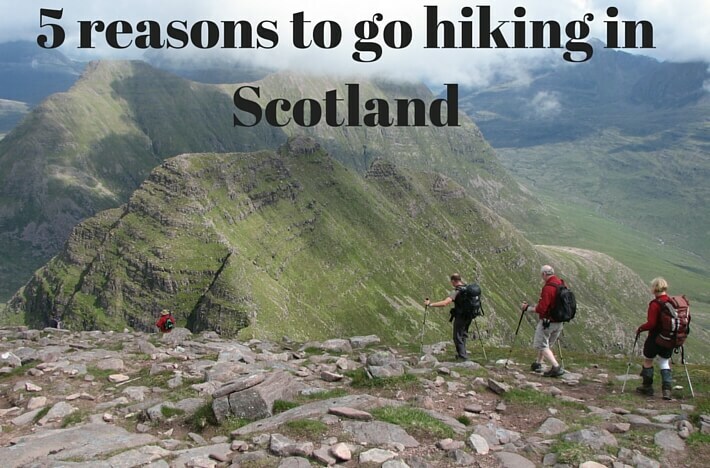 If you’re a keen hiker, you probably already know, that Scotland has amazing scenery. Maybe you’re putting Scotland on your short list. 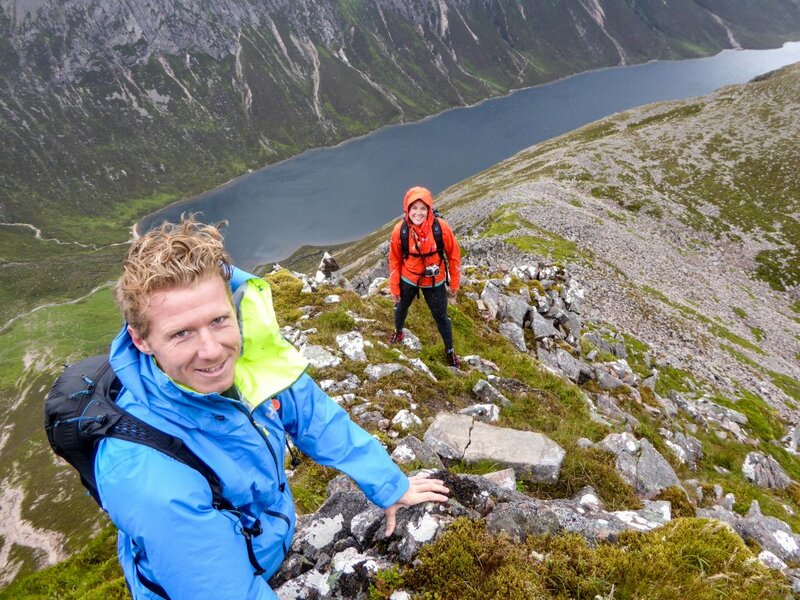 In our experience running accommodation and adventure holidays in Scotland, it’s still got untapped potential and a lot of advantages as an adventure destination which most people don’t know about. 1. Scotland has world beating access rights. Waiting for the cloud to clear to reveal the spectacular view which can’t be seen from the road. 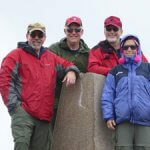 Photo description: A guided hiking vacation in the Cairngorms, Scotland – off the beaten track thanks to our excellent, world-beating access legislation. 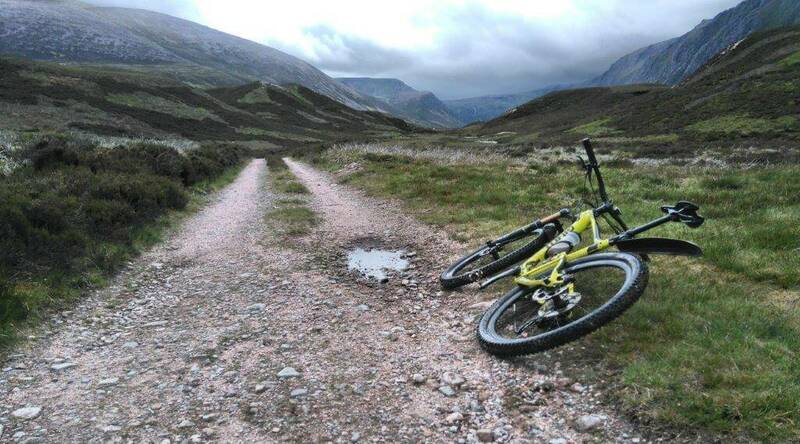 Everyone has a right of responsible access in Scotland due to The Outdoor Access. You are legally allowed to walk/bike/canoe anywhere they wish. You do need to avoid the immediate grounds of a building. So you don’t have the right to walk across someone’s manicured garden. You do have the right to roam the hills at will without sticking to what few paths there are. Do be careful when out on the high ground though because there is not a system of well-maintained way marked paths across the hills, unlike other European countries. In fact, if you have not been out hiking in Scotland before it would be advisable to book a local guide for the first time you go out. You will have a more in-depth appreciation for the countryside you’re walking through with your guide. which you as a visitor would never be able to glean during your short visit to the area without his/her presence. Scotland has celebrated the Year of Natural (2013) and the Year of Adventure (2012). The Golden Eagle was voted Scotland’s most iconic species. The attraction of the wildlife is a growing sector of tourism in Scotland, particularly to the Highlands and Islands. 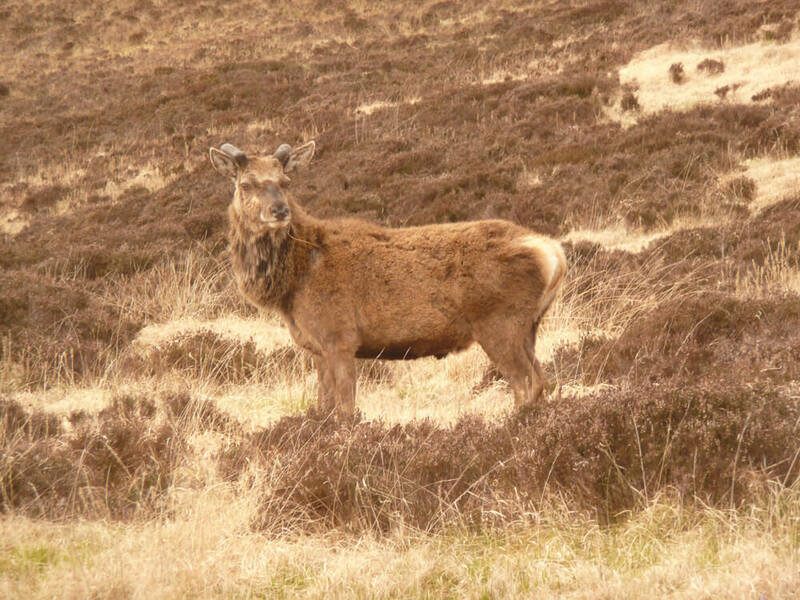 You could expect to see red squirrels, red deer, reindeer, roe deer, eagles, otters and a multitude of other animals throughout the Highlands. Most of these iconic animals are frequently found in the Cairngorms. 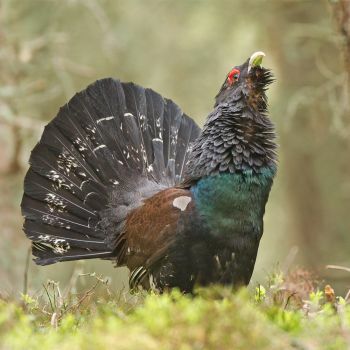 The Cairngorms feature heavily in all the BBC Spring, Autumn and Winter Watch programmes. However, you don’t need to worry about bear or wolf attacks. There are no large animal predators in the wild. Camping is a relatively safe experience; the main concern being a biting fly known as the midge (which will not trouble you on a windy day and is only around in the main summer months). 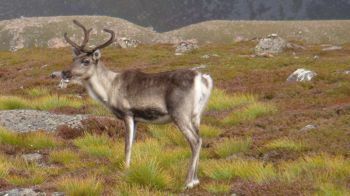 Photo description: Part of the Cairngorm Reindeer Herd which roam free in the hills during the summer months. Scotland has ancient mountain scenery full of mystique and history, which draws thousands of tourists every year. Most visitors only experience the views from the road. There are plenty of views to be seen from the roadside, but the best of the landscape can only be experienced by immersing yourself. Exploring the Highlands without a car has its trials but hiking, canoeing, adventure biking etc here in the Highlands is the way to go. Brave was based around the scenery of Skye and the traditions of Scotland. the Outlander saga featuring Jamie Fraser (a Higlander) was inspired by the landscape and traditions of Scotland. There are several long distance paths which are waymarked across Scotland, but the high hills are not waymarked. There are paths which crisscross the high mountains but a knowledge of map reading and compass work are necessary to deal with the changeable weather conditions and wild scenery. 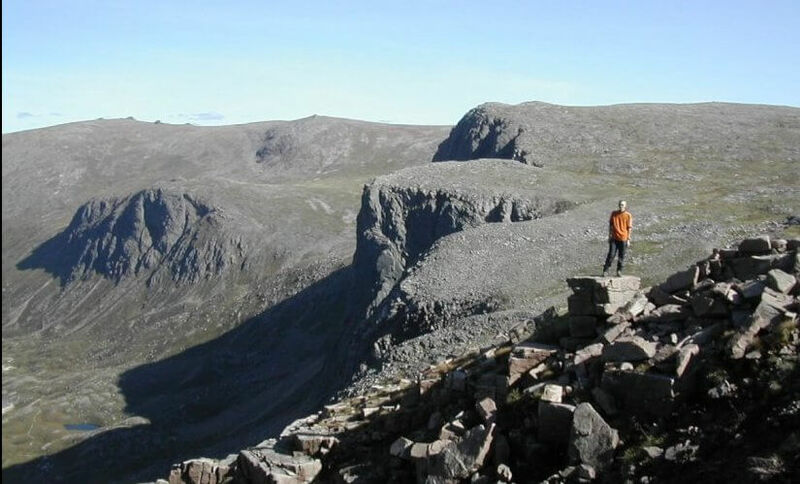 Photo description: Viewpoint obove Loch Aan in the Cairngorms showing the cliffs by shelter stone. Some of the stunning features of the Cairngorms which can’t be seen from the road. 4. There is no need for altitude training and adjustment in Scotland’s hills. Scotland’s highest peak is Ben Nevis at 1,344m. To many Europeans this seems merely a bump, but when you consider that the route up the mountain starts at sea level, it becomes a decent mountain day. Most people take about 8 hours to complete the route up and down Ben Nevis, even by the regular “tourist” route; but for all that it is not an 8000m peak it should still not be under-estimated. The changeable weather conditions, our maritime climate, in the UK make an ascent of any of the hills challenging, except in the most stable of weather conditions. People do die in our mountains every year. You don’t need to worry about altitude sickness or having to carry oxygen to summit the mountain and most summits can be reached without any need for ropes. 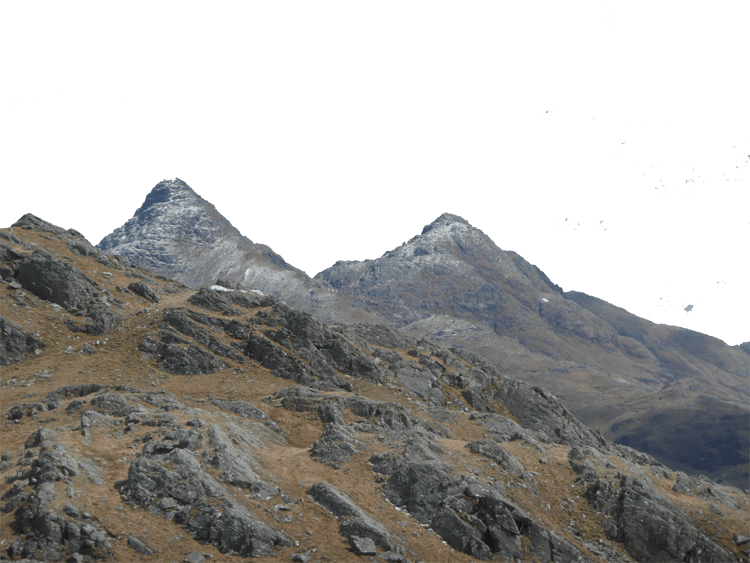 All risks in the mountains can be limited by employing a guide with the relevant training and experience. There are international flights to Scotland through Edinburgh and Glasgow with onward flights or good public connections through bus and train onwards to the Highlands. 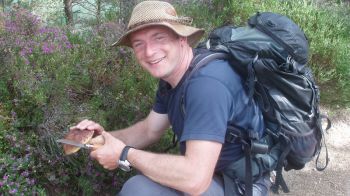 However, to make the most of your time in the Highlands your best transport option is still either to hire a car or to book a suitable tour with a guiding company which will take in the routes at the top of your list or allow them to pick to routes best suited to your ambitions, taking account of the prevailing weather and terrain conditions. 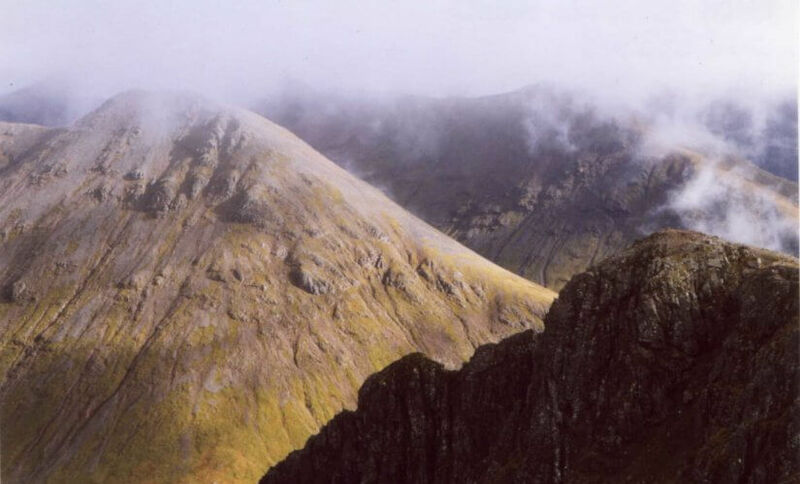 You can reach most of the hills in Scotland on a day walk, within the capabilities of most hikers. There are more extensive routes – which take several days to complete, but you can reach the summit of most individual peaks in a day. If you do choose to undertake any of the long distance routes you will find that with the exception of the West Highland Way and possibly the Great Glen Way, you are unlikely to see many other people during your walk. So far, Scotland is accessible without being crowded. Wilderness Scotland – an adventure tour operator running all kinds of acitivities across Scotland from hotel and guest house accommodation. 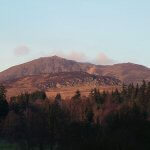 For comprehensive details and the full range of our walking holidays, please return to the home page. 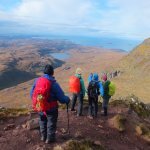 Which hike to choose in Scotland? 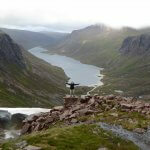 Why choose Scotland for your walking holiday? What keeps you going when you’re out hiking? Why go on walking holiday?